I had to set up two teams to work double shifts to meet the programme constraints. I was very proud of what we achieved. 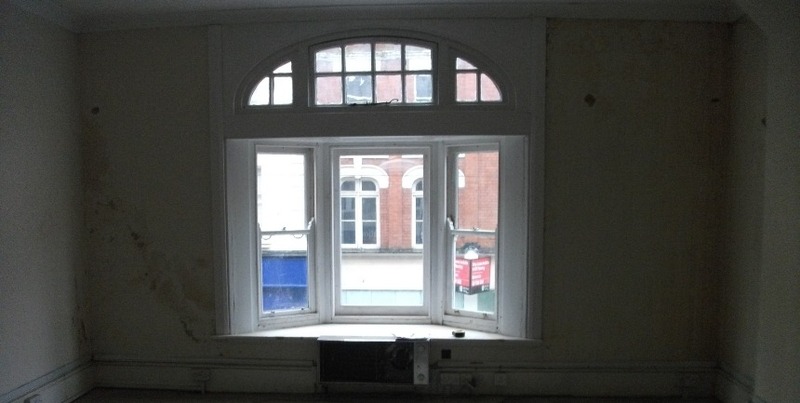 We had to form three new glass fronted customer interview rooms as well as staff welfare and storage areas within a disused first floor area of a four storey property. We also had to completely refurbish the existing ground floor banking hall, interview rooms and administration areas within a four week period. A first class finish. The first floor was virtually unrecognisable after the new offices were built. The project consisted of new wall coverings & decorations, hard & soft flooring throughout, new suspended ceilings, partitions and polished door sets to the newly formed areas. There was also some structural works involved when a new customer entrance was formed between the new and existing areas.